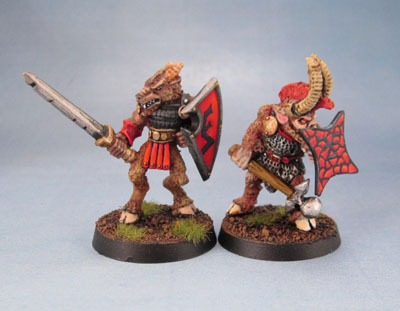 Realm of Chaos – Slaves to Darkness Beastmen IV: More Khorngor | Azazel's Bitz Box. 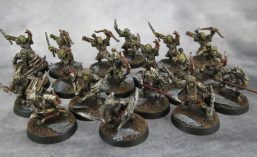 This entry was posted in Age of Sigmar, Chaos, Oldhammer, Realm of Chaos, Warhammer Fantasy - 9th Age and tagged Beastman, Beastmen, Jes Goodwin, Khorngor, Realm of Chaos, Slaves to Darkness. Bookmark the permalink. love the paintjobs on these, takes me back to when I got these as a teen!! 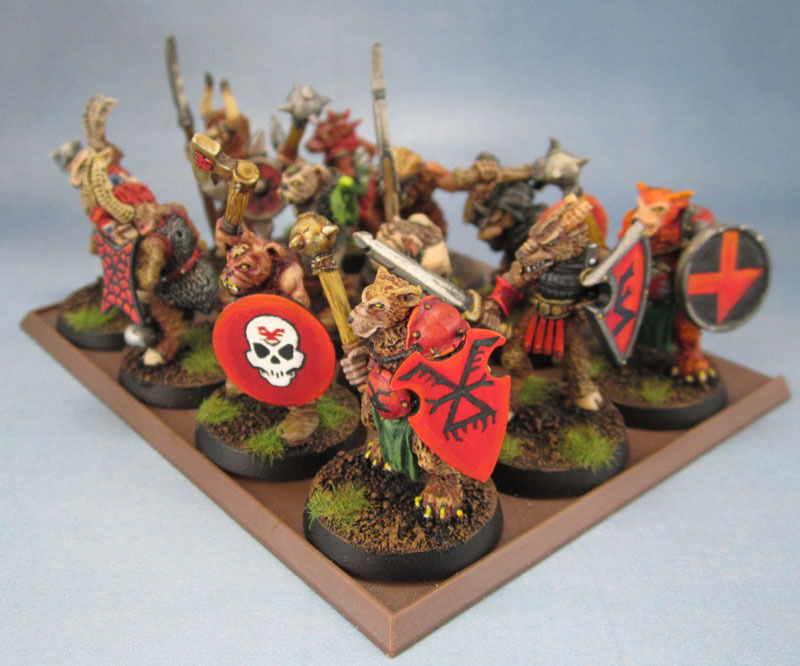 Thanks mate – it’s been pretty enjoyable to bring them back up to scratch from those days and potentially get them back onto the tabletop after a long break! Haha the Union Jack/chaos star is very cool. 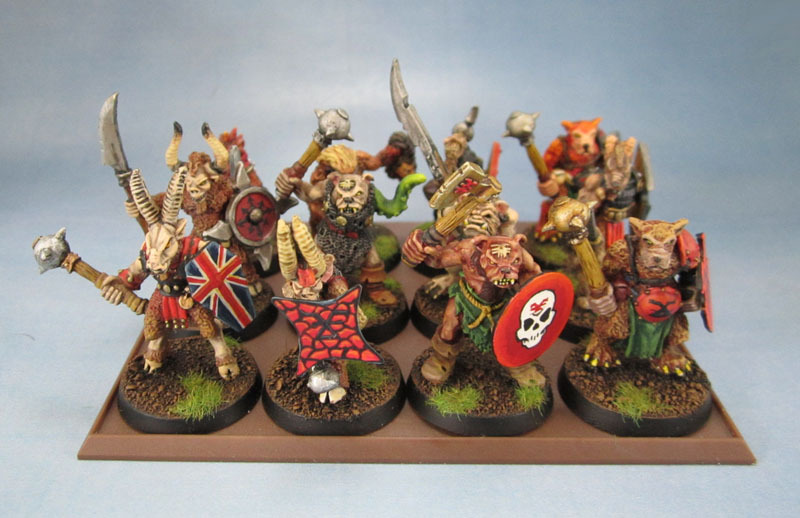 Great looking models and paint job mate. Thanks mate, I appreciate the compliment. Cheers Gabbi. It’s still one of my faves! The unit shots really showcase the effort, skill and thoughtful composition that went into these guys. the shield designs are wonderful: scrisp, colourful, imaginative. 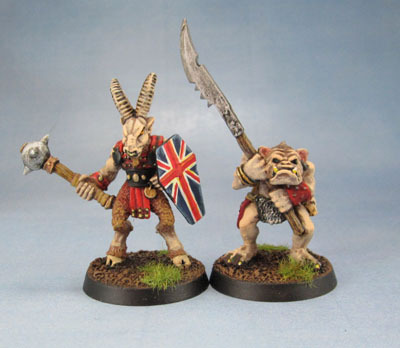 I always knew the English are actually adherents of Chaos. Thank you. 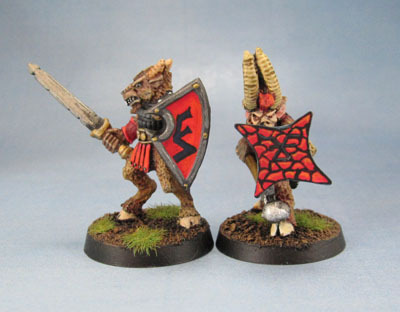 I feel like I say this all the time, but I’m really looking forward to clearing the desk so I can work on new and interesting things in a focused manner – like more of the old Beastmen! I know the feeling. I have a long-term “clean the desk” project going, too. However…I always add new stuff to it. 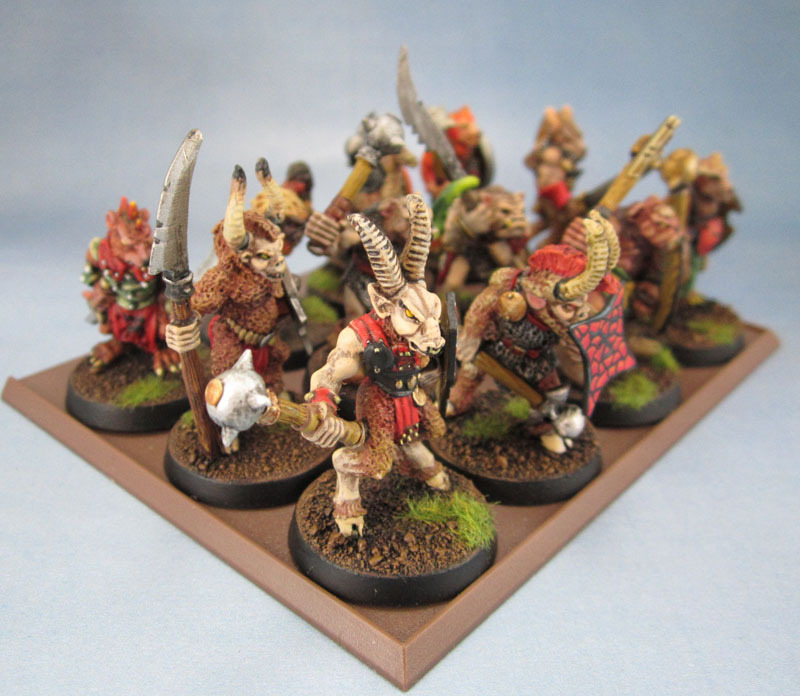 Pingback: Citadel Chaos Beastmen Gors (Michael Perry, 1995-6) | Azazel's Bitz Box.